Mother Nature knows what she’s doing, doesn’t she? Throwing us warm colors and soothing tastes when we need them most. Case in point: the pumpkin. 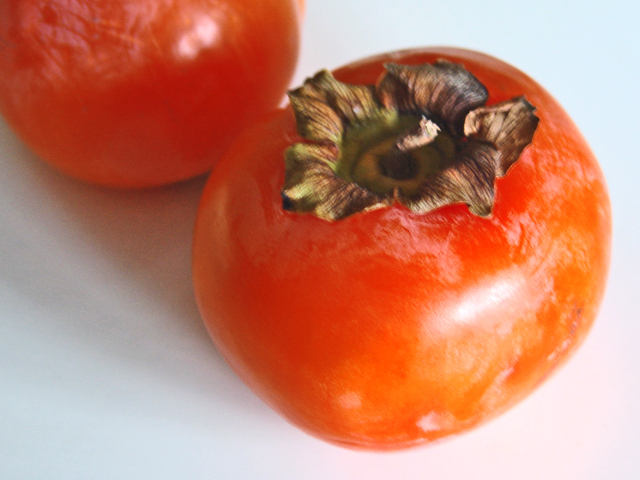 I’ve almost missed the chance to mention another autumnal jewel, but here it is before the seasonal window of opportunity slams mercilessly shut until next year: the persimmon, or caco in Italian. A few years ago at an excellent Milanese restaurant called Trattoria al Matarel I had my first taste of this orange indulgence. Prior to that moment, I’d only thought of it as something my grandmother might have eaten once upon a time. The waiter brought it to the table after the meal, unadorned—unless you consider a spoon and a knife culinary embellishment—on a white plate. I lifted the spoon to begin my attack on the unfamiliar stuff. (Why he’d brought me a knife I had no idea. The fruit looked soft and submissive despite its aggressive color.) The waiter rushed back over to the table before I’d begun my assault, and showed me how “it” was done. The persimmon is flipped upside down so that it’s sitting on its leaves. Then with a knife, you make two perpendicular cuts across the flesh, so that it falls in four even quadrants, skin-side down. That’s it for the knife. Next, you pick up the spoon and scoop out the delicious, sweet, almost gelatinous flesh. Every time I eat this fruit, I experience something close to ecstasy. And every time, I think, “Who needs dessert when there’s this?” Cold, it’s utterly sinful. My neighborhood restaurateur likes to offer it with Grand Marnier poured on top. It’s almost gilding the lily, but, yes, it’s damn good. The caco gives us more than an after-dinner thrill though. The tree itself is a graphic performance-artist. The fruit starts to develop in the summer when the leaves are green, but ripens to its brilliant orange when the tree is utterly bare. 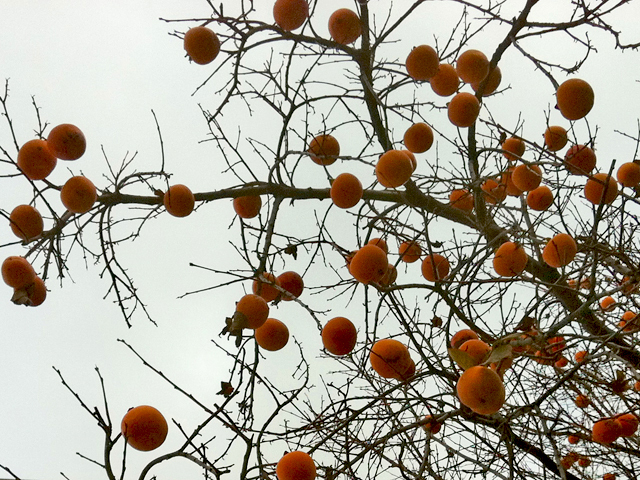 Stark, dry, desaturated branches hang heavy with exotic orange balls—like a Japanese ink drawing revisited by a kid with an orange magic marker. NOTE: As for the restaurant I mentioned in the first paragraph, I highly recommend it, should you visit Milan. Trattoria al Matarel, near Corso Garibaldi. It’s an excellent place to experience genuine Milanese cuisine, and it’s the first place I ever saw a restaurateur inspecting and negotiating the price of white truffles in the dining room. 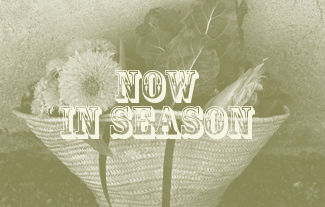 This entry was posted in IN SEASON, ITALY and tagged caco, fall, grand marnier, Milan, persimmon, trattoria al matarel. Bookmark the permalink. When I saw these growing 40 years ago I thought they were tomatoes. It was in S’Agata (near Sorrento) and I was young. I knew they couldn’t be tomatoes, but they certainly looked like them. I have some in my kitchen right now and they are delicious! Do you eat them in Australia too? I’m eating two persimmons right now! I’ve never seen them on a tree before, though, really amazing. I’ve never had one. Beautiful! We get them in Australia, but they are not all that popular. I’ve never had a persimmon, but thanks to your post, I recognized them at the farmers’ market this morning. I had no idea how to select one, so I went with the color. Even though my guess is that my selection was not quite ripe, it was DELICIOUS. We will be keeping our eyes open for them from now on! Great post. 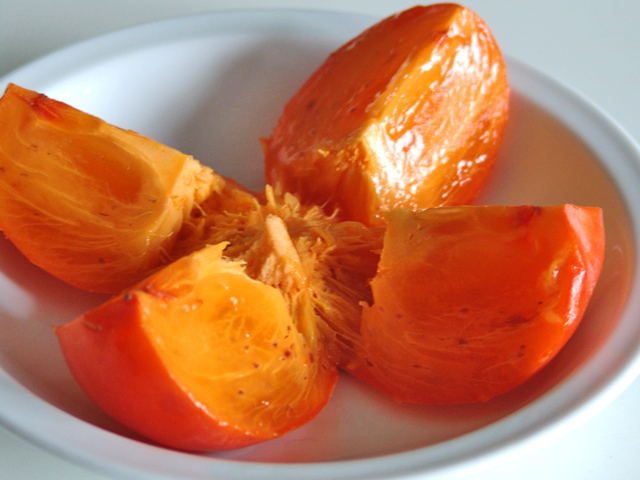 I shy away from the gelatinous persimmon, preferring instead the firmer version. Delicious. Grand Marnier? Yes, I could give that a go, I reckon.